For more than sixty years, the Royal Philharmonic Orchestra (RPO) has enjoyed a warm relationship with American audiences, building a loyal and enthusiastic following during its regular coast to coast tours. 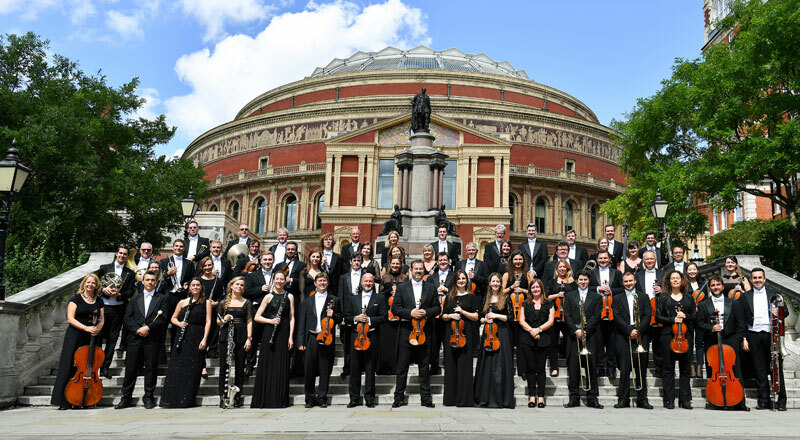 The American Friends of the Royal Philharmonic Orchestra (AFRPO) was originally established in 1983 to further the work of the Royal Philharmonic Orchestra in the USA. Funds raised through the AFRPO have provided essential support for the Orchestra’s USA tours, educational activity at home and abroad, and for some of the young American artists who regularly appear with the RPO. To mark the RPO’s 70th Anniversary, the Orchestra set about reinvigorating its American Friends membership scheme, which is now moving from strength to strength. The AFRPO has a board of committed and enthusiastic Directors, and is classified as a Public Charity, therefore all donations to the AFRPO are tax deductible for US taxpayers to the full extent allowed by law. The AFRPO is keen to attract new patrons who will enjoy being associated with one of the world’s great cultural institutions, and who recognise the importance of developing and enhancing a cross-cultural relationship between the USA and Great Britain. The support the Orchestra receives from its American Friends is essential if it is to achieve its overarching mission of bringing outstanding orchestral experiences to the widest possible audience.